Our qualified caregivers will see to it that we meet your needs by delivering personalized care services according to your situation. 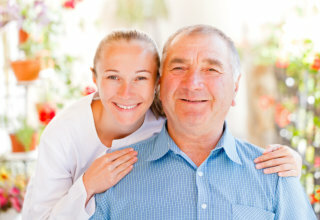 The caregivers from One-To-One Home Care, LLC are totally committed, highly qualified, and carefully selected individuals who are thoroughly screened, background checked, bonded, and insured. Our typical caregiver profile is either a Certified Nurse Assistant (C.N.A) or Certified Home Health Aide (C.H.H.A) with five years of work experience as a caregiver. To start receiving assistance from our caregivers, please contact 770-694-1777.